Cheap Wedding Packages - Is An All Inclusive Wedding Really A Budget Option? Is An All Inclusive Wedding Really A Budget Option? Cheap wedding packages almost sound too good to be true, a fantastic price and everything you need for your wedding reception without too much stress, brilliant! Or is it? When you are planning your wedding you will no doubt feel overwhelmed with choice; colors, themes, guest lists, food, it goes on and on. You could avoid most of this by choosing an all-inclusive wedding package. There are packages that include nearly everything, apart from the groom, because if you are reading this hopefully you have found your own ;o) !! Most of the all inclusive wedding packages that are available will be advertised quite widely as this will be part of a big marketing campaign to promote that wedding venue. The wedding venues will be running the campaign to sell more weddings so they will want to let everyone know. A word of warning is that these type of campaigns are normally a way of getting more brides into the venue and then the sales team will try and sell all of the extras. A classic example of this was one couple who were quoted $45 to swag their top table - the whole wedding was only costing them just over $1000 for 30 people. Now that is a mad upsell! Print your free wedding package checklist! After your list you need to add extra details; minimum numbers, maximum numbers, cost, any extra hire charges, time allocated at venue, exclusive use of venue, additional staff or equipment costs, vat or taxes included. Also watch out for availibility of the package, quite often it can just be for during the week and not popular Fridays and Saturdays. The reason for these extra details is to ensure you are comparing apples with apples, a cheap wedding package for 60 people is going to cost less than one for 100, plus you don't want to have any nasty surprises. I recently helped one bride-to-be who hadn't been informed of the minimum numbers for the venue or that the price quoted did not include vat, it was going to cost her an extra £2000 until we looked at her initial quote which did not show any of the extra costs. Which moves me nicely on to making sure that you all get all of your quotes in writing. You want all costs broken down so you know exactly what you are spending your money on and to check that it includes everything you want. To compare the quality of your cheap wedding packages ask to visit all of the venues, a good time is when they have set up for a wedding as this will give you an idea of the attention to detail. 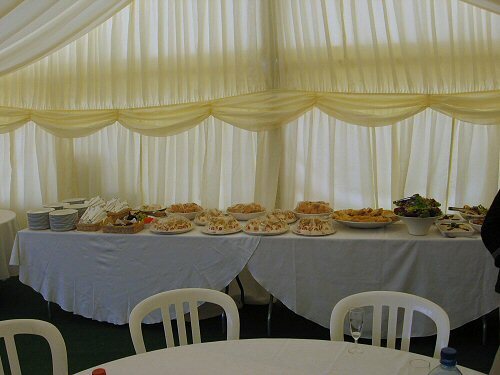 Ask for references when choosing an outside caterer and with all try to get a tasting. 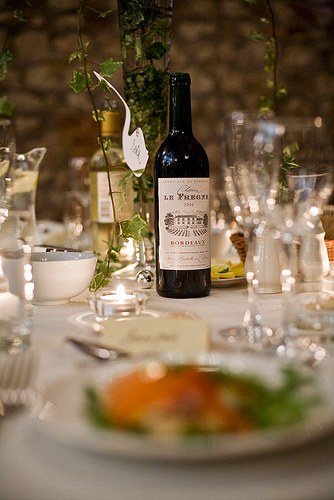 This is when you try the menu before your wedding, a great free meal and a chance to see how good the food is and how your chosen wines go with the meal.